In early March, the 10-year yield was circling 2.87%. Now it is circling 3.00% for the first time in four years. 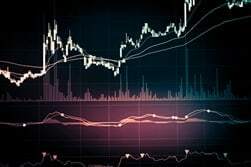 The increase is probably shocking to many analysts and investors, writes Mike Paulenoff, MPTrader.com. Neither economic nor inflation data provide adequate justification for yield to be higher than it was two months ago. But there are times when the contradicting longer-term technical set-up should be heeded, even when the trend lacks strong support from lagging tabular data. On April 27, investors received their first look at the advance estimate of Q1, 2018 GDP, which came in at 2.3% compared with consensus estimates of 1.8% to 2.0%. More surprising, perhaps, was the subdued Q1 Price Index at 2.0% versus estimates of 2.4%, although the inflation gauge did remain at the Fed’s 2% target. In reaction to yet another set of lukewarm economic data, 10-year yield did weaken a touch, to 2.96% from 3.00%, but appears to me to represent a minor pullback within the larger April upleg from 2.74% to 3.03%. It is still perched atop a near two-year trek from its three-decade low at 1.32%, which started in July 2016 and found its way to last week’s high at 3.03%. 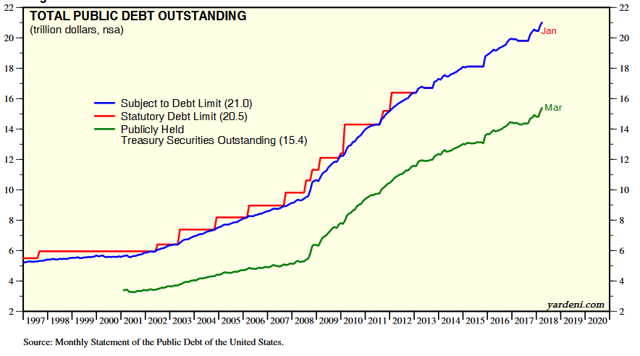 Restrictive Fed policy and rate normalization. The persistence of the dominant uptrend carved out by 10-year yield since July 2016 is impressive, given lukewarm support from the economic data. 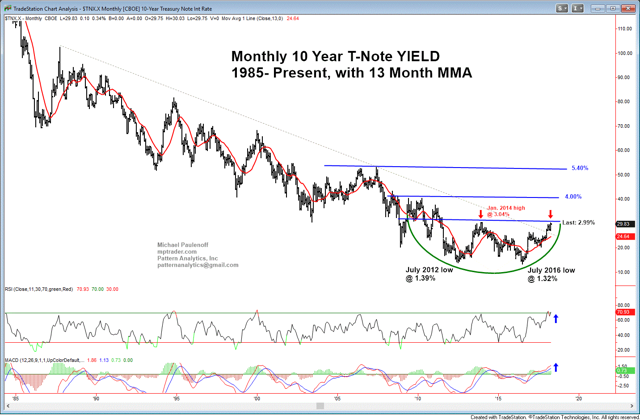 Indeed, yield’s trajectory has not been derailed by bouts of weak growth, data and sharp, brief corrections in the stock market that otherwise should have triggered a violent flight into the safety of U.S. Treasury paper, pressing yield lower. Oil hit its low in February 2016 at near $26/bbl, just five months prior to the historic low yield established at 1.32% in July 2016. 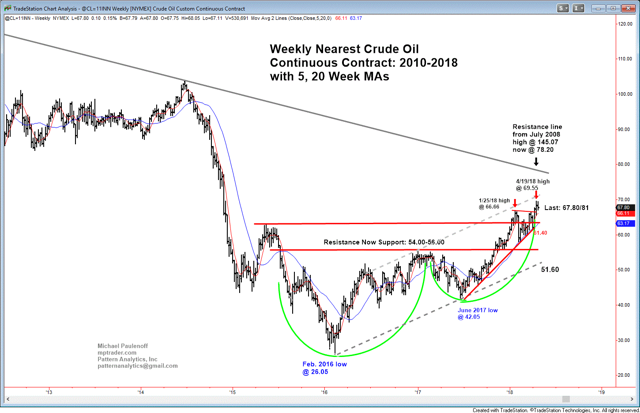 NYMEX Crude Oil has climbed to nearly $70/bbl – or +160% during the past 26 months – while 10-year yield has climbed from 1.32% to 2.99%, or 126% over the same timeframe. Is it a coincidence that oil and yield are climbing in lockstep? Analysts of the 1970s and 1980s argued that the rising price of oil filtered through the U.S. economy and permeated all goods and services—gasoline prices in particular—pushing general prices higher. 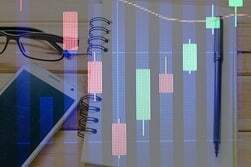 Although the connection between the two markets appears very different today, the positive correlation between their rising price patterns is curious nonetheless. Another curious connection could be seen in housing prices. Housing prices continue their steady, relentless rise from the depths of recession in 2009-2010. 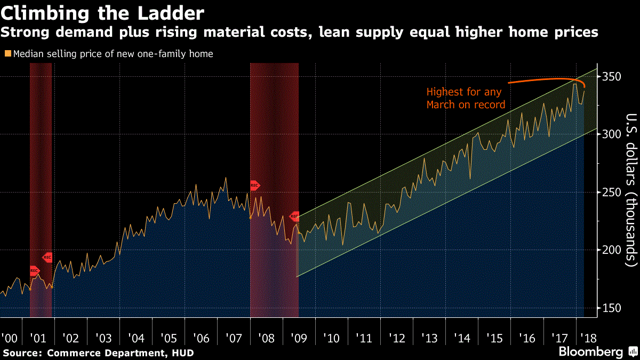 Lately, according to a recent Bloomberg article, not only are prices rising because of scarce supply and growing demand among millennials, there is upward pressure on building materials and costs as well. Need we remind ourselves that a 5.1% increase in construction costs is one-and-one-half times greater than the headline inflation data? Overlay deficit spending by the Trump administration onto the new cost-push inflation and the potential for higher yield ratchets up another notch. 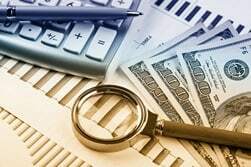 Admittedly, it has only been a few months since the Tax Cuts and Job Act (TCJA) was enacted. 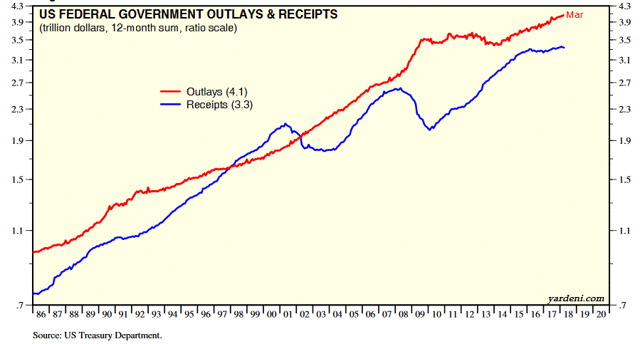 But so far, it looks as though 3% growth could remain elusive for a while longer – and so too will evidence that tax receipts will pay for the $1.4 trillion deficit implied by the new law (see Yardeni.com charts below of federal outlays versus receipts, and of the climbing federal debt). 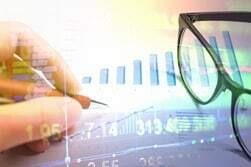 The rise in crude oil, gasoline and housing prices as well as rising deficits, debt and U.S. government spending could be combining to trigger investor unease. 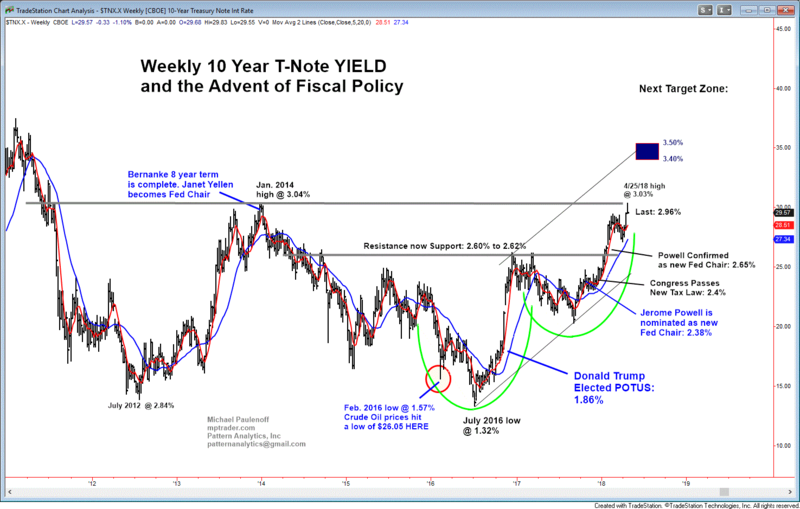 It could cause them to demand more risk premium to hold Treasury paper during an unpredictable Trump administration, especially as the November mid-term elections approach. The more investors think that the Democrats could regain a majority in the Congress, the more unhinged Treasury prices could become. Under the circumstances, shouldn’t investors demand more of a risk premium to hold U.S. Treasury paper? 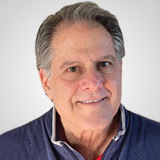 Mike Paulenoff is a veteran technical strategist and financial author, and host of MPTrader.com, a live trading room of his market analysis and stock trading alerts. Sign Up for a Free 15-Day Trial to Mike's Live Trading Room.